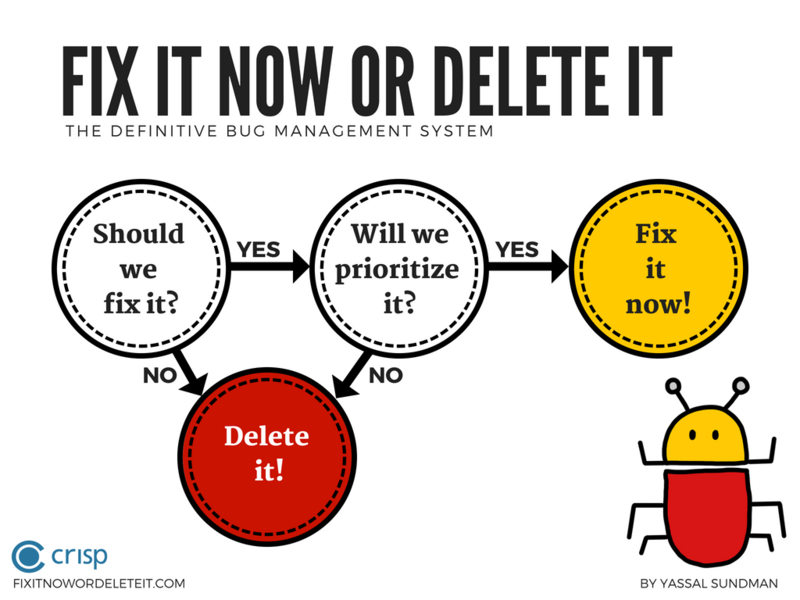 The Definitive Bug Management System! 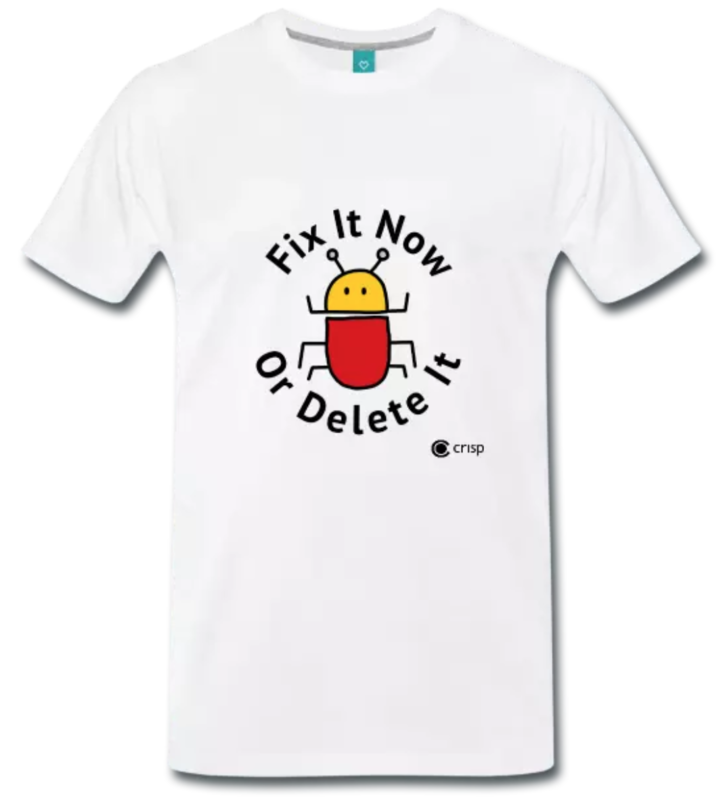 Welcome to Fix It Now or Delete It! Do you have a mountain of bugs? Are you tired of sitting in endless meetings to go through them, only to have to do it all over again at the next meeting? Would you prefer to focus on creating the best product possible instead? Well, using this system you can stop managing bugs and start focusing on quality. 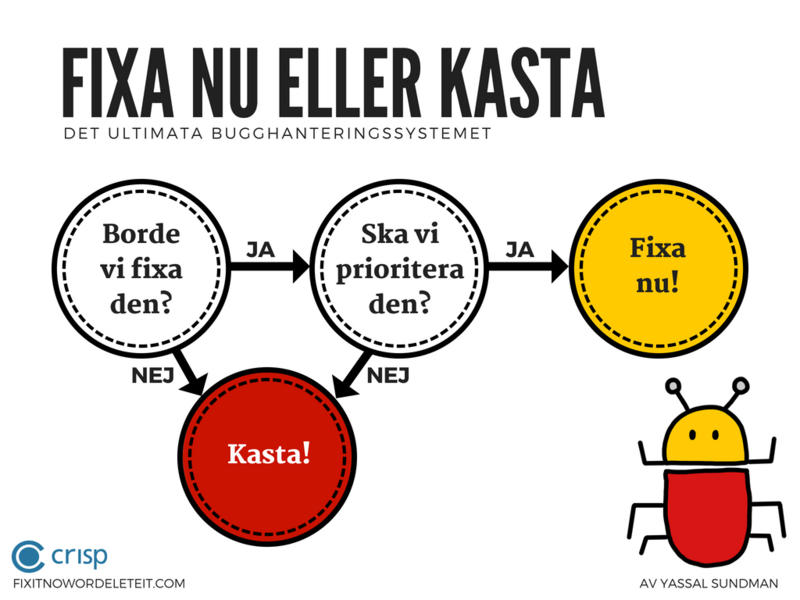 Are you ready to prioritize and fix the bug? If so, then fix it now. If not, then delete it. It’s that simple. 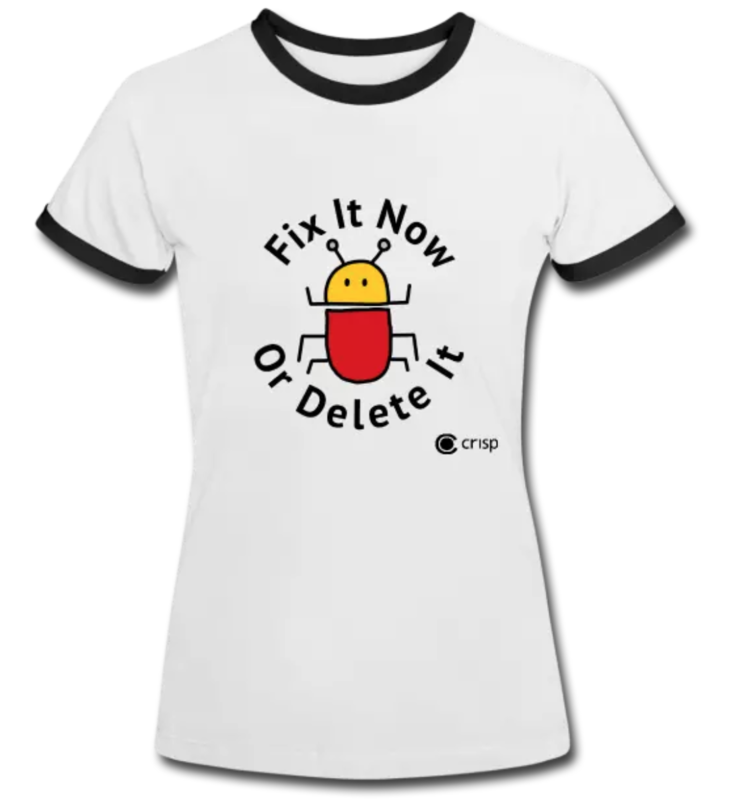 When it comes to bugs, you only have two options: Fix it now or delete it. 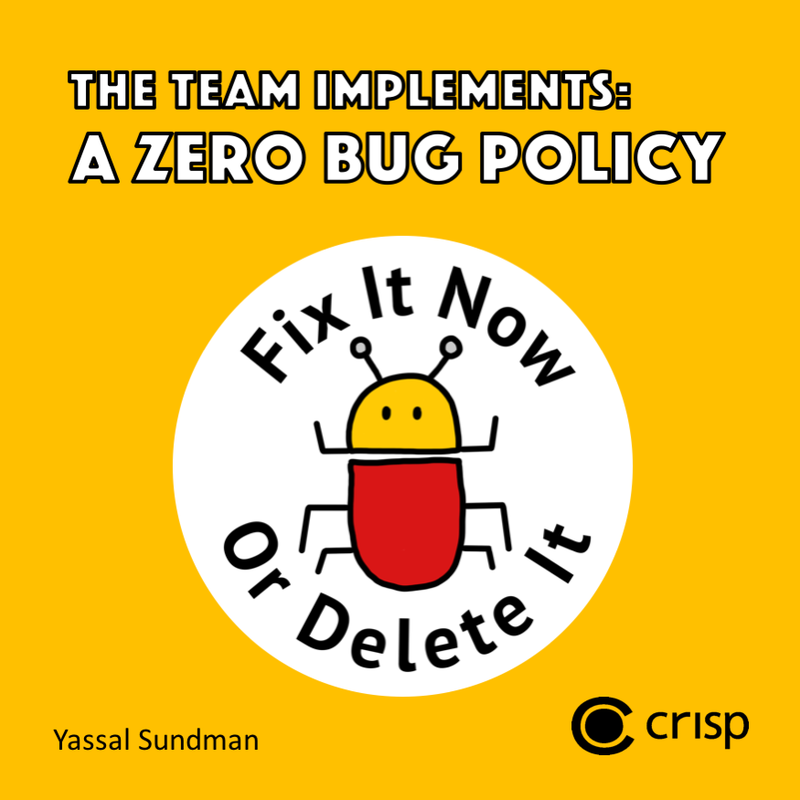 We hope the resources below will help you succeed in your journey to zero bugs. 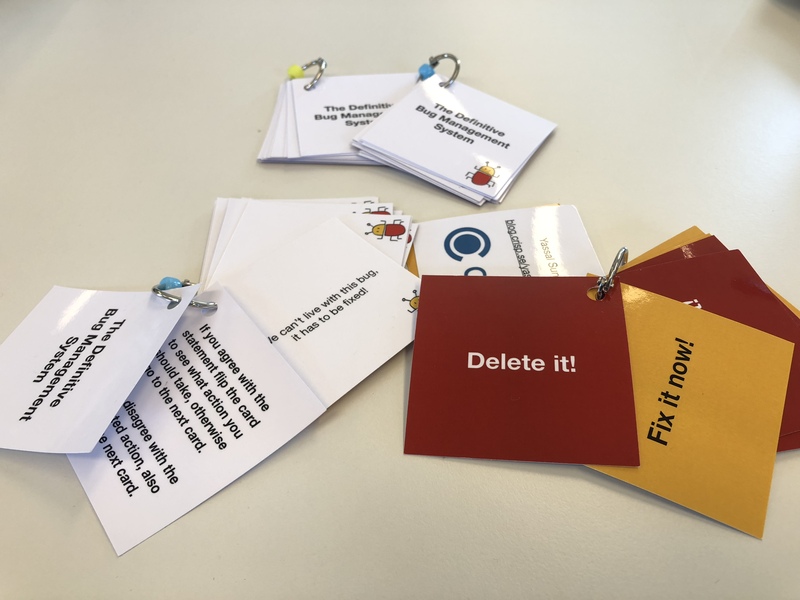 Download the cards to print yourself. Instructions: Print the document as a double sided page. The cards are in order and start from the top left corner. Go through the cards row by row until you end at the last card on the bottom right corner. Laminate the cards (or use thicker paper) then cut along the dotted lines, finally hole punch the corner and attach them with a ring. Contact us if you need a larger order of the cards. Or if you’re in Stockholm, pass by the Crisp office to pick some up! We love feedback. Have a suggestion? Want to log a bug ;) ? We’re Daniel and Yassal. We’re both coders and one of us coaches teams! We’re based in Stockholm and are members of Crisp. Need help coding React Native apps or coaching teams? We’d be happy to set up a meeting to talk!